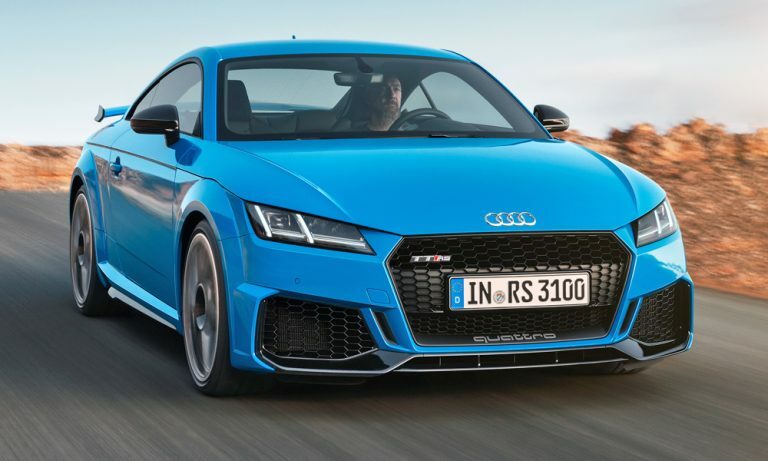 Audi announced that the Audi TT RS Coupe and Roadster are getting a mostly-cosmetic refresh just in time for their Geneva Motor Show appearance. 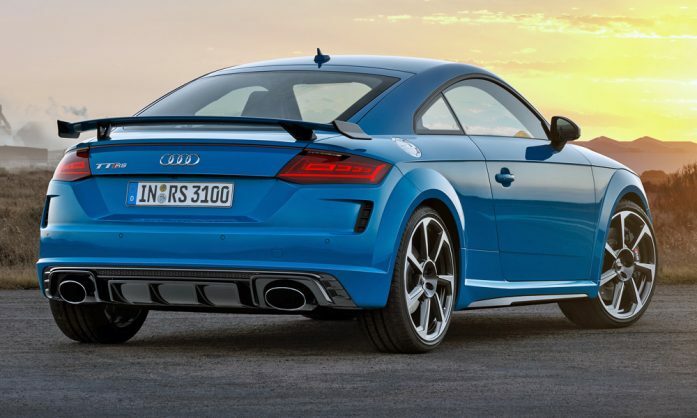 Despite Audi’s TT RS lineup already being equipped with an impressively high-performance powertrain inside a stylish exterior, the company has decided to refresh the vehicle with a set of welcome aesthetic enhancements. 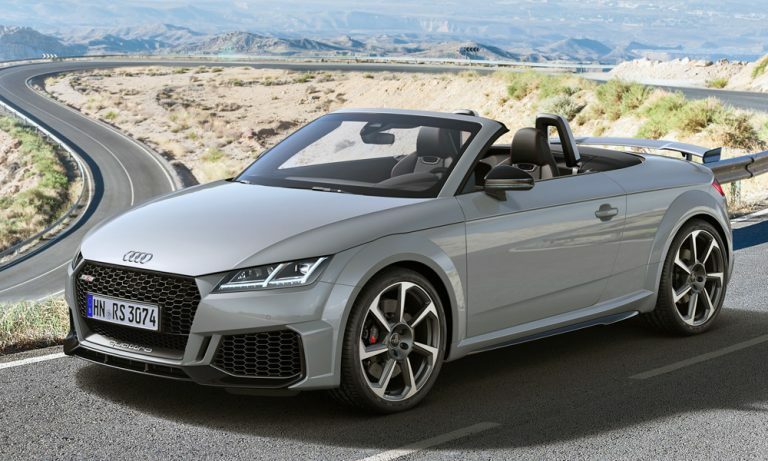 Audi announced on Wednesday that the Audi TT RS Coupe and Roadster are getting a mostly-cosmetic refresh just in time for their Geneva Motor Show appearance. The vertical vents within the front fascia – now larger – have been shifted towards the center edges, now following the outline of the unchanged grille. The rear sports a subtly redesigned diffuser that remains in line with the characteristic RS identity. Upgrades have been applied to both the coupe and roadster models. This facelifted model is powered by the same impressive five-cylinder engine delivering 294 kW 480Nm of torque, a supercar-level acceleration time from 0 to 100 km/h in 3.7 seconds, and a top speed of 250 km/h. Like the 2018 model, the powertrain retains the same seven-speed S tronic dual-clutch transmission and quattro all-wheel drive. While not much has been changed about the interior, the seat’s leather upholstery now features a hexagonal quilted pattern instead of a diamond one whose stitching, like the 2018 model, matches the car’s exterior paint color.